The NuVue Pest Guard is a pesticide free pest solution providing protection to plants and vegetables from hungry deer, birds and other small rodents. Easily pops open and stows away when not in use. Size is 22" Wide X 28" High and comes complete with 4 ground spikes to secure to the ground. NuVues all season Pest Covers provide a barrier to protect all types of plants against troublesome animals. The Woodpecker PRO Bird Control System uses naturally recorded distress calls from woodpeckers and predator cries from hawks and falcons to frighten, confuse, and disorient the birds. This causes them to seek a calmer location. Save money on repeat repair jobs with sonic bird control. It is a humane way to get rid of woodpeckers by working with their natural instincts. This device can cover up to 1 acre of land and is weatherproofed for outdoor use. Havahart Animal Repellent granules uses natural ingredients to keep skunks, raccoons, groundhogs, dogs, cats, and squirrels away. This multi-species repellent, made from black pepper oil, piperine and capsaicin, uses the taste and smell to help prevent the intrusion of animals. The formula is OMRI listed and can be used in organic gardens to replace chemical repellents. Sprinkle the product indoors or outdoors to create a perimeter protection or spot treatment. An application can last up to 30 days. Miniature technology offers maximum coverage using a small discrete unit with added features of a nightlight and an extra plug. Plugs into wall and covers average to large size rooms to repel rodents from a large area. Proper high frequency sound to effectively repel rodents. Great for kitchens, garages and basements. Sound is inaudible to people and non-rodent pets. Pest Guard 22-inch The NuVue Pest Guard is a pesticide free pest solution providing protection to plants and vegetables from hungry deer, birds and other small rodents. Easily pops open and stows away when not in use. 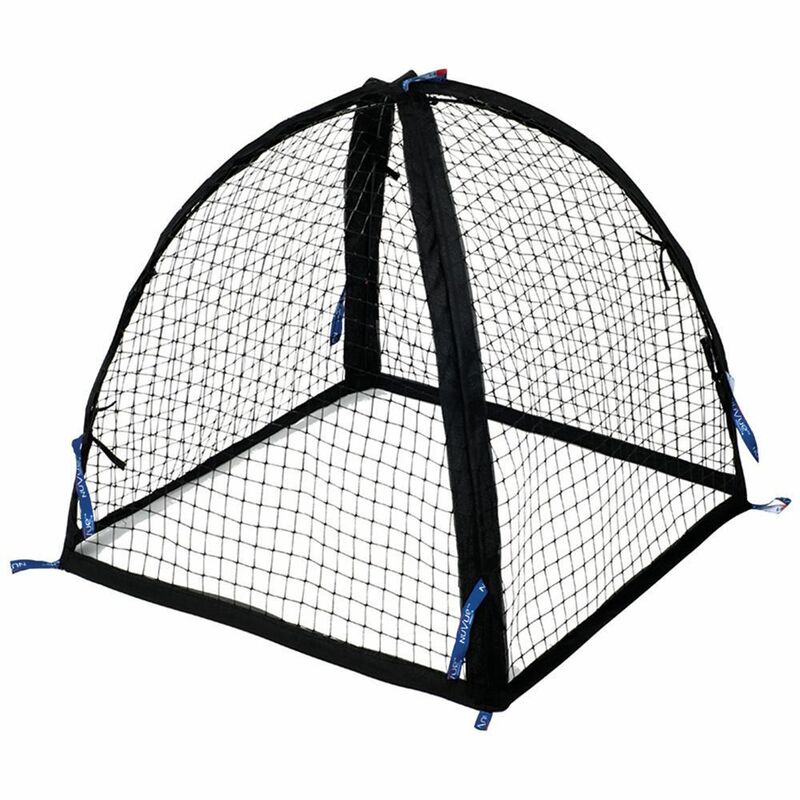 Size is 22" Wide X 28" High and comes complete with 4 ground spikes to secure to the ground. Pest Guard 22-inch is rated 4.8 out of 5 by 27. Rated 5 out of 5 by Karla from I will buy more of them for the coming winter... I will buy more of them for the coming winter to protect small shrubs. Rated 5 out of 5 by david02360 from Bought them to protect my plants from the Iguanas. Caught one yesterday on top of the protector d... Bought them to protect my plants from the Iguanas. Caught one yesterday on top of the protector desperate to get in but could not. Rated 5 out of 5 by Wanda from It works fine. I plan to order another one (larger... It works fine. I plan to order another one (larger one) for another plant. Rated 5 out of 5 by Dudley from Have recently been overrun by cows and deer, this product has been very effective. Have already ... Have recently been overrun by cows and deer, this product has been very effective. Have already recommended to my neighbor. Will be ordering more. Rated 3 out of 5 by Rachel from It was looking pretty good until the rabbit chewed through... It was looking pretty good until the rabbit chewed through the plastic mesh, making a small hole for him to squeeze through. It may still be a deterrent if the rabbit doesn’t like being caught inside the net. I think I need metal mesh to deter him. Rated 5 out of 5 by katjo from Keeps my pups & the raccoons from munching my plants & the great thing is-they fit PERFECTLY over... Keeps my pups & the raccoons from munching my plants & the great thing is-they fit PERFECTLY over top of the 'rolling terra cotta' planter boxes I bought from Home Depot last year!!! Rated 5 out of 5 by Mookie from Love these. I had bought some in the past... Love these. I had bought some in the past and wanted more for my garden this year. Easy to use, and the best part is they fold up for storage taking very little space.